Joan is available for speaking engagements both on her own and with her Wildlife Ambassadors. Her Press Kit provides a list of awards, books, TV appearances, bio and more. For rates and more information please contact us. 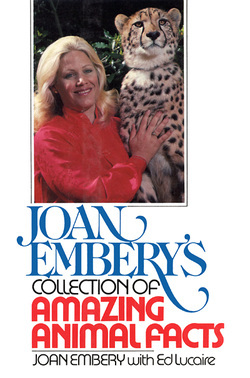 In addition to her many public appearances, Joan has led wildlife expeditions to such exotic locales as Africa, China, Nepal, India, Papua New Guinea, Indonesia, Australia, New Zealand, Tasmania, Thailand and the Amazon and has authored several books. As a dedicated animal and environmental advocate, Joan spends her time working with wildlife organizations and educating the public. She serves on many boards focusing on conservation and wildlife issues. A San Diego native, Joan studied zoology and telecommunications and received a Bachelor of Arts degree in Communication. 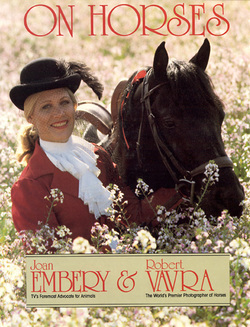 While Joan is most well known for her work with exotic animals, she is also an accomplished horsewoman, having won trophies in almost every discipline from dressage to cutting and driving to jumping. She lives on the 50-acre Pillsbury Ranch in Lakeside, California with her husband Duane Pillsbury where she has raised and trained Quarter horses, Miniature horses, Lipizzans, Warmbloods, Mules, Clydesdales, Percherons, and her California State Grand Champion Brahman Bull, Bruiser. She also manages the Lakeside Saddle & Driving Club, a community equestrian facility. 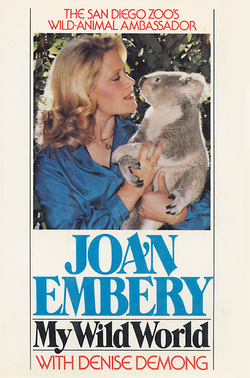 In 2004 Joan created her own non-profit foundation, The Embery Institute for Wildlife Conservation, with the mission of connecting people to wildlife and conservation issues and the role each individual plays in insuring healthy environments. ​Joan enjoys speaking with audiences about wildlife and the environment. She shares her experiences and passion for animals with personal accounts and anecdotes. She maintains a collection of wildlife ambassadors that travel with her representing the animal world and helping to educate her audiences. From her start on Johnny Carson in the early 1970's to Jay Leno, Charlie Rose and many more, Joan Embery has thrilled millions of viewers with her countless educational and funny television appearances. While the audience laughed at endearing animal interactions, Joan always showcased natural behaviors and shared facts about the diet, habitat, temperament, and status of each species - making her appearances not only fun but broadly educational. If you grew up in the U.S. in the 1970's-1908's you'll no doubt remember seeing her on TV with a zebra, monkey or other amazing creature. Joan Embery is an author with four published books that are available on Amazon.com.